SERVPRO of West Greenville County has been operating in business since August 2016 and we have grown tremendously since then. Our owner and staff all use outstanding customer service to make sure you and your home receives the care and attention you deserve! We have tackled jobs from commercial building fires and water damage to home cleanup, water damage restoration, fire damage restoration as well as mold remediation. We assure you that we have the staff, equipment, and knowledge to restore your residential or commercial building back to normal in no time. 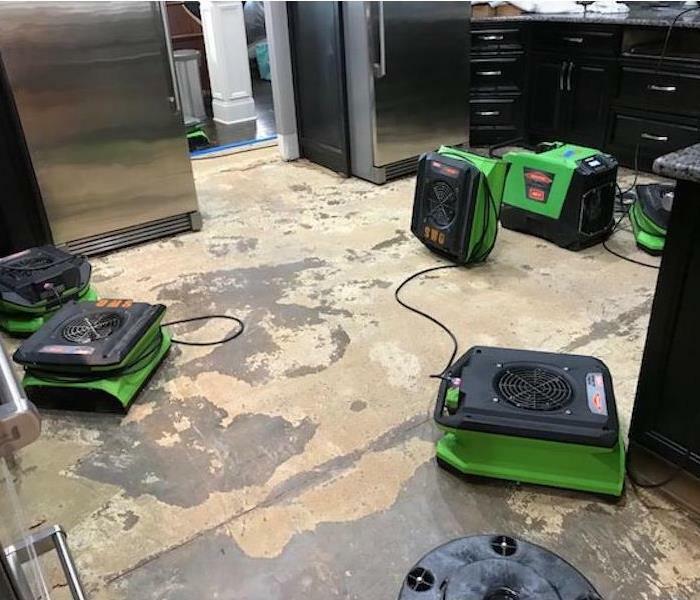 SERVPRO understands the stress that can come with damage to your home, and we are here to make the restoration process as stress-free as possible! SERVPRO of West Greenville County is locally owned and operated—so we’re a part of this community too. We are also part of a national network of over 1,700 Franchises, which enables us to respond quicker with more resources. For major storms and disasters, we can call upon special Disaster Recovery Teams strategically located throughout the country.